Something new to show. My line of pillows at Pat McGann Gallery. These are made from some of the textiles that I sourced on a trip to Beijing this past December– now at Pat McGann Gallery. 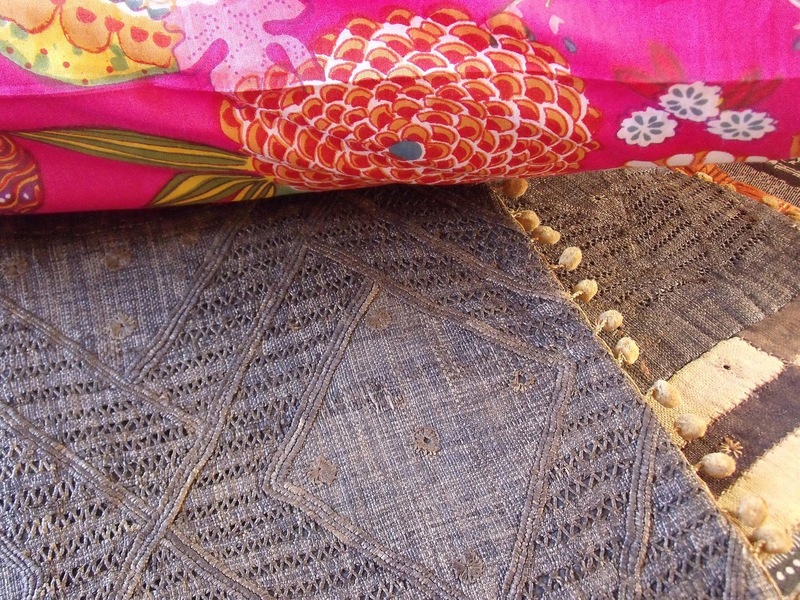 Silk Miao textiles along with embroidered carrier pillows. 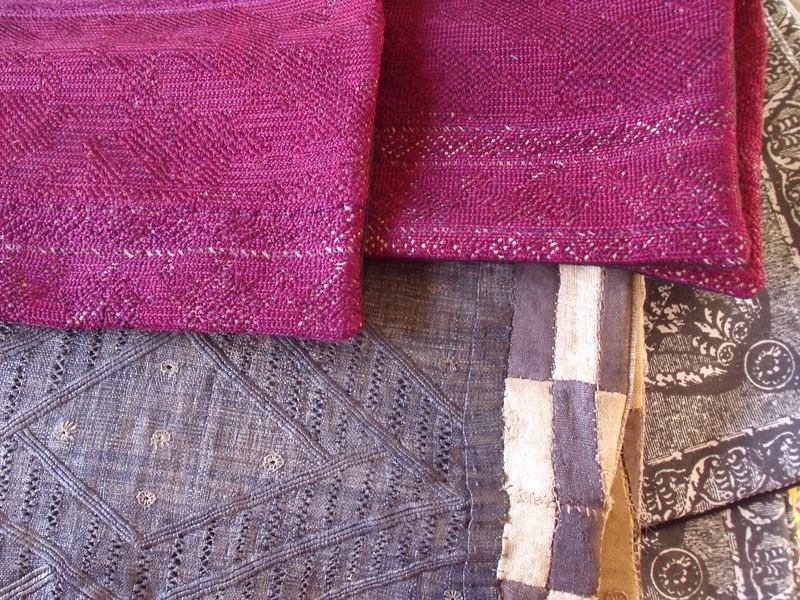 Hmong marriage quilts and hand loomed jacquard pillows. Come visit the shop to see more. This is not Zoffany, it’s vintage Claridge house. Egyptian applique. Made as tourist pieces. The darker red are an antique fez embroidery and the orange -not as old. 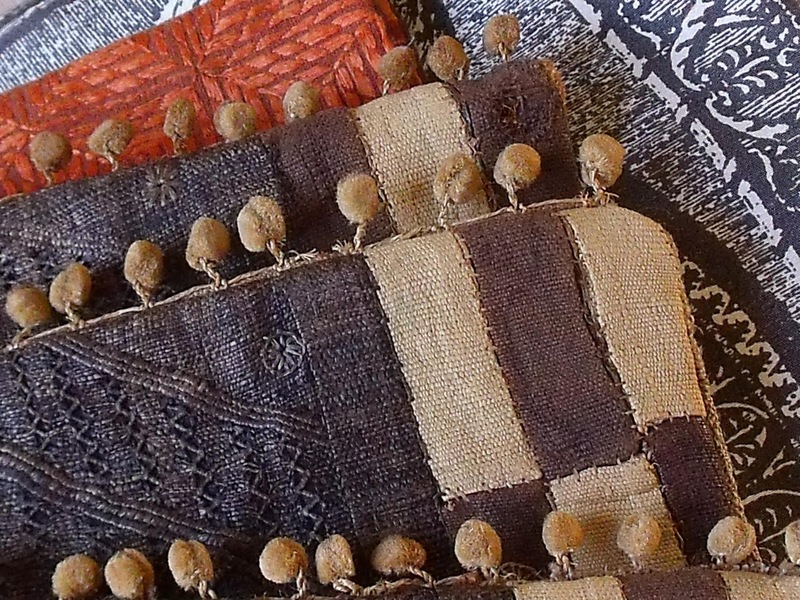 Antique 19th c Kuba Cloth Pillows. 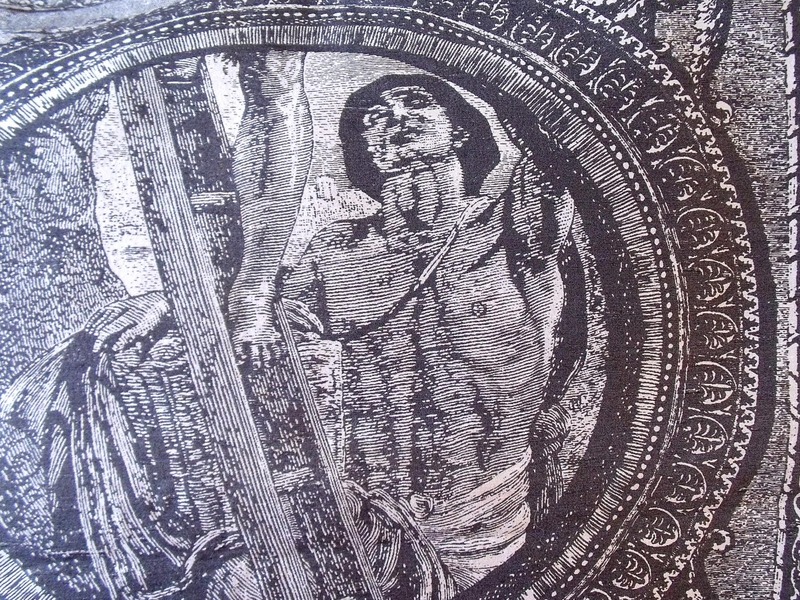 A group of 4– Zoffany print fabric from the 50’s. 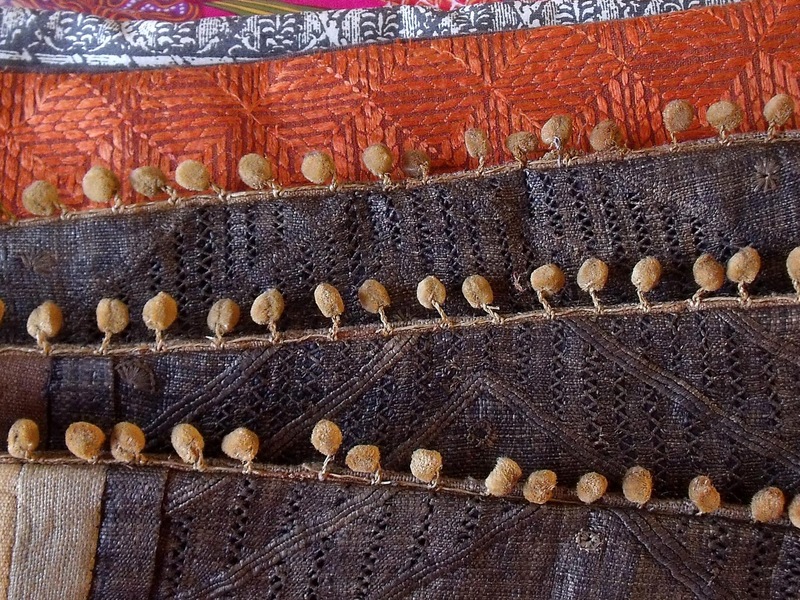 I removed the ball fringe from the original and reassembled & attached at the top of the pillows. Orange is a vintage phulkari, silk embroidery on cotton. Contemporary Indian block print in pink. On the left vintage Indian gypsy quilt pillow. 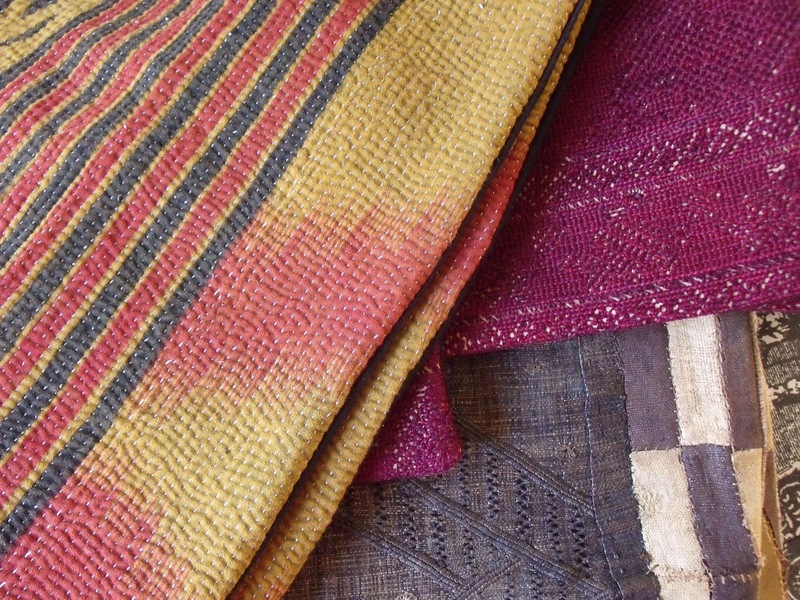 The reverse side of the Kuba pillows are a contemporary Indian raw silk. 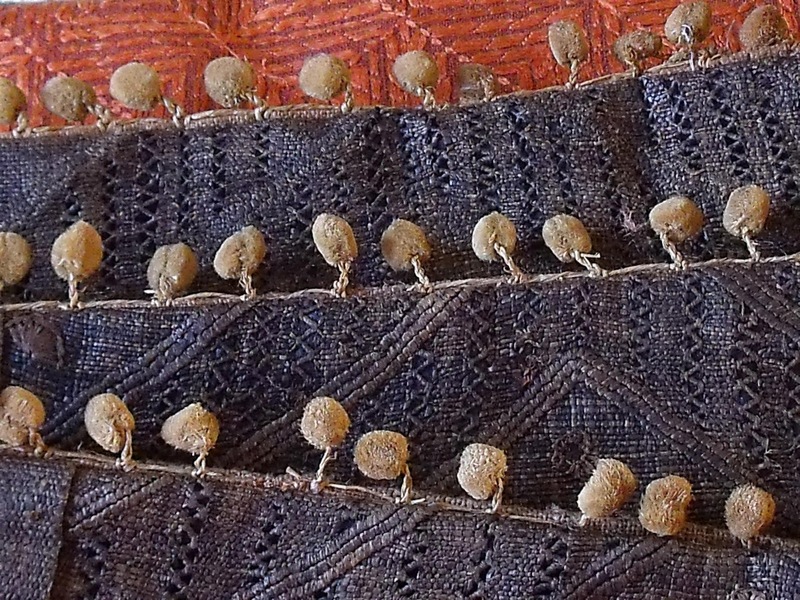 Above are pillow details from a group of custom pillows that I am dropping of today for Pat McGann Gallery. 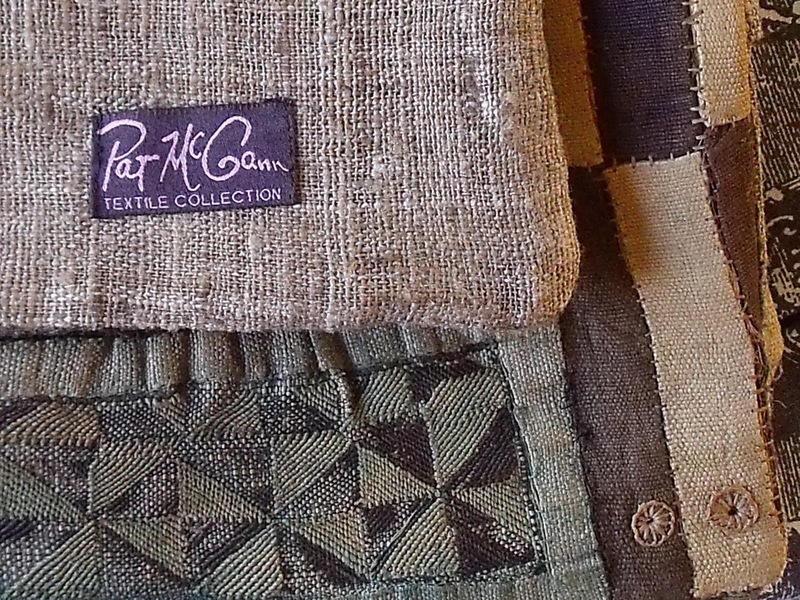 Pat McGann always has beautiful and out of the ordinary textiles. (Oh yes– we do custom pillows so email us for specifics). While I was uploading images this song came on my Pandora by Sun Ra–That’s How I feel. Which is fun to listen to while looking at the pillows–try it. Really. The glass artist Alison Bergerwalked through today. After she left, I had to go next door and ask who she was. When she came in, I was folding gypsy quilts made out of vintage saris. She asked me what they were. They are also in the window, I said. Did you do the window? Later, when I found out who she was I got more excited as I am a fan of her work. In particular, this glass stool. I think all of this timely since I’ve been on a glass kick lately. I must do more styling. You get to make things pretty and then you get to leave.